If you are in the market for car seat covers, kudos to you. You are being proactive in the protection of your car’s seats and ensuring that your car doesn’t get too beaten up over the years. However, you shouldn’t purchase the first car seat cover you find. 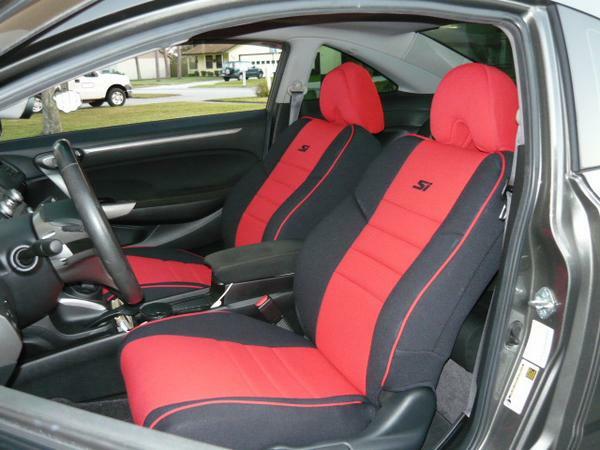 Here are 3 important things to know before buying seat covers for your car. When we say size matters, we’re talking specifically about the fit. There are a lot of generic one-size-fits-all car seat cover options out there. There’s a chance the dealer might even try to sell you one some. Now while these can somewhat protect your car, they aren’t great at it. The reason being that they probably will leave some areas underprotected or exposed to the elements. So it might be very easy for a spill to leak into a large gap where the generic seat cover leaves exposed. Our car seat covers are custom-sized for every make, model, year, and car seat type. Essentially, our neoprene car seat covers are like a skin for your car’s seats. This custom fit provides way more protection than a generically fitting car seat cover option. The purpose of car seat covers is to protect your car’s seats from water, spills, dirt, sand, salt, and UV rays. The problem is that not all them do that. You really want to take a look at the material being used. If the material allows water to soak through, it won’t help you too much with a spill. If the material is too thin, it might get worn down too quickly, exposing the seat of your car. Our car seat covers are made with neoprene, the same material used on wetsuits, and have been built to protect your car from a number of everyday elements. Finally, a car seat cover should reflect your style. Those same generic offerings of car seat covers lack in terms of stylishness. Your color options are probably limited to black or some other standard color. Our Wet Okole car seat covers have a huge selection of color, piping color, pattern, and even decal options.